In this experience, students first explore the government and economy of the relatively successful West African country of Ghana. 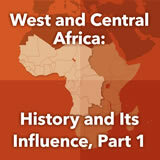 Then they learn about the governments and economies of five other West and Central African countries that have faced civil wars and conflicts. Next, students learn the part that blood diamonds have played in those conflicts—and the general problems that result from conflict diamonds. Finally, students write an explanation about how to buy diamonds more ethically. 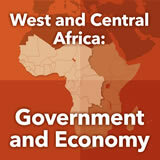 Describe the governments and economies of several West and Central African countries. Explain the influence of civil war and conflict on the economies of several West and Central African countries, including the role of conflict diamonds. Describe the efforts to combat the practice of conflict diamonds. 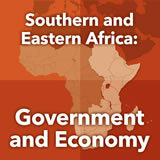 In a region that contains 24 separate countries, you will find a wide range of government types and economies. 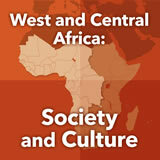 In this experience, you will find out more about the government and economies of several West and Central African countries, particularly those that have experienced ongoing civil war and conflict. Begin this experience by going to Fancy riding a bamboo bike? and scroll down to watch the video Grow Your Own Bike, about an interersting business in the African country of Ghana. What did you find surprising in this video? Answers will vary. 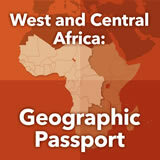 Students may not expect to find such an innovative approach in an African country. 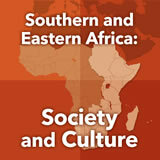 Now read an article on Ghana to find out more about it. 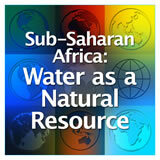 Describe Ghana’s economy, natural resources, and main exports. Tell students that Ghana is one of Africa’s wealthiest nations with a fast-growing economy that is based in part on its many natural resources (minerals, oil, and precious stones). It also has a large manufacturing industry that produces cars, ships, and electronics. Agriculture also contributes to the economy through coffee, rice, and especially cocoa. 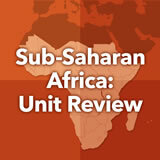 The Complete List of Learning Experiences in Sub-Saharan Africa Unit.